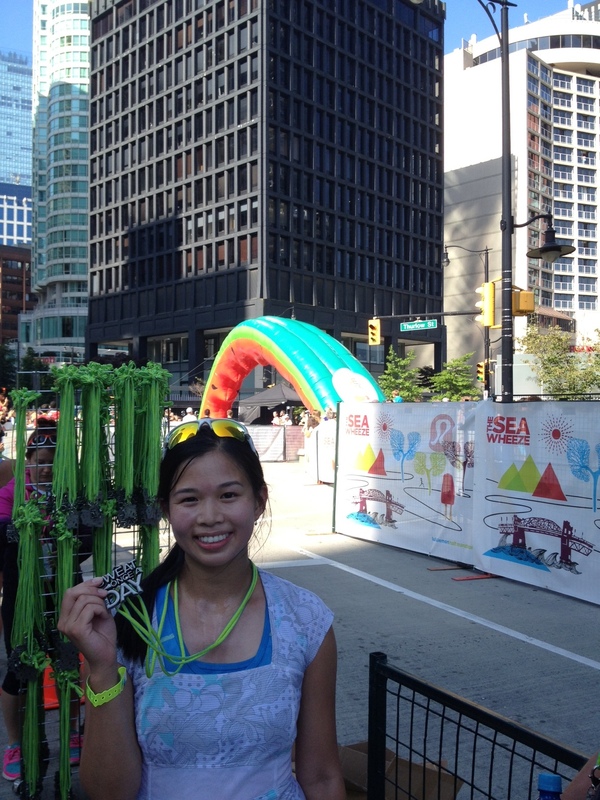 – Admission to a post-race concert by Vancouver band Hey Ocean! and FUN. 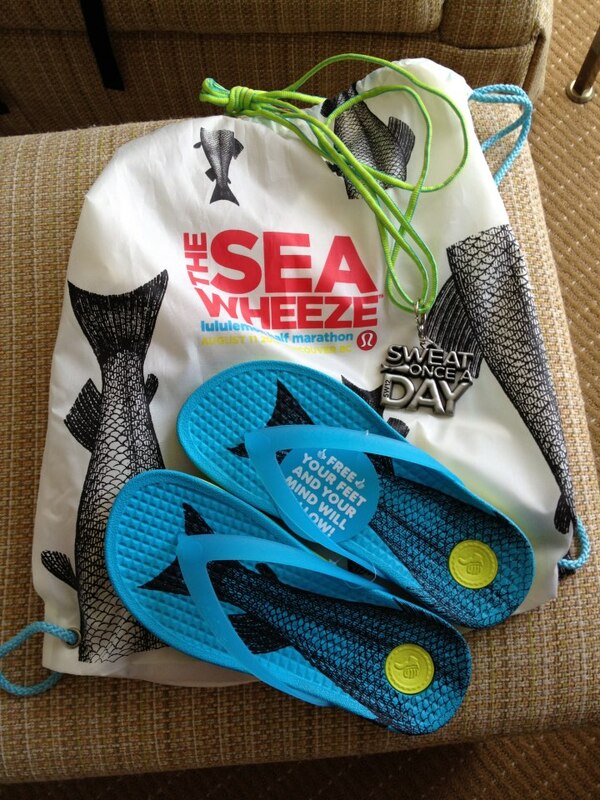 I was really looking forward to the race expo, because I knew there would be limited-edition product available ONLY at the Sea Wheeze showcase store on race weekend. 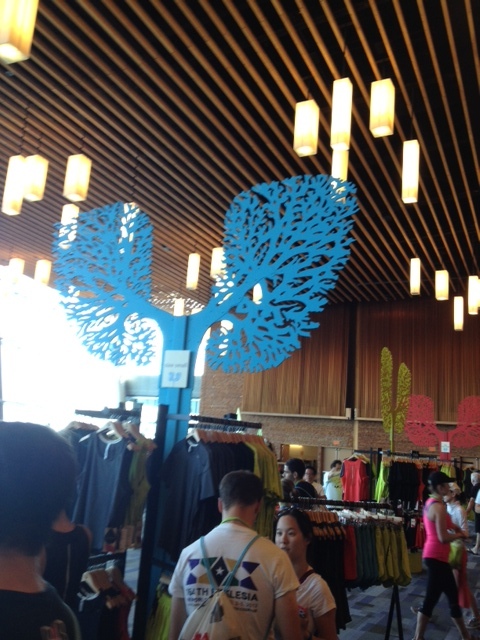 Unfortunately, I missed the expo completely and first dibs on the stuff due to a 7-hour mechanical delay on Air Canada. It was SO frustrating. I was supposed to arrive at 2:00pm into Vancouver and I didn’t get to my hotel until 9:00pm, completely exhausted from all their shenanigans. I am probably not going to fly them ever again. Luckily, Amy got there mid-day and was able to get me a pair of shorts, when I frantically instructed her to buy me “anything that fits me” under $60. I pretty much knew that the stuff would be picked over by the afternoon since the expo opened at 9:00am. Oh well, next time I’ll get there on Thursday! 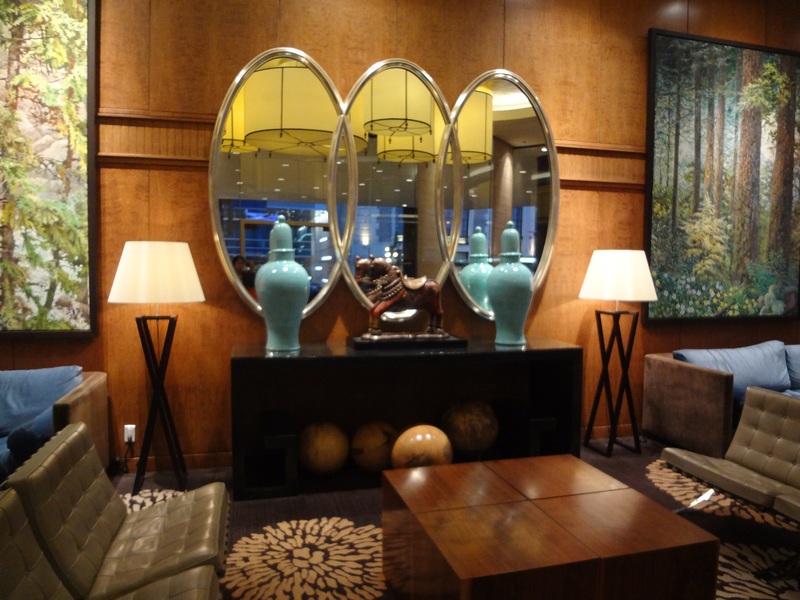 I got to stay at the Four Seasons in downtown Vancouver with Amy for a ridiculous rate, since she works for them. It was a beautiful hotel only a 10-minute walk to the race start, which made my life so much easier after my flight delays. I will post a much more detailed part two later, but I just wanted to share some photos below. I’m gearing up for the Beast of Burden Summer 100 this weekend—so nervous but also excited! 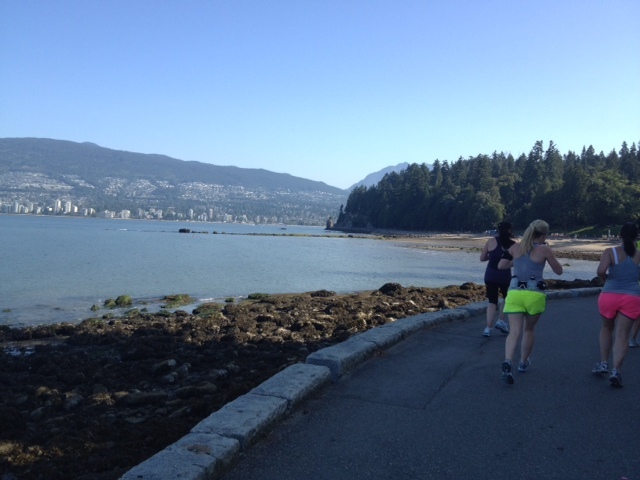 Categories: Uncategorized | Tags: Fun, half marathon, Hey Ocean!, Kits Beach, Lululemon, Runcouver, SeaWheeze, Vancouver, yoga | Permalink.